Amazon.com Price: $9.95 (as of 2019-04-22 02:15:48 GMT) Product prices and availability are accurate as of the date/time indicated and are subject to change. Any price and availability information displayed on Amazon.com at the time of purchase will apply to the purchase of this product. 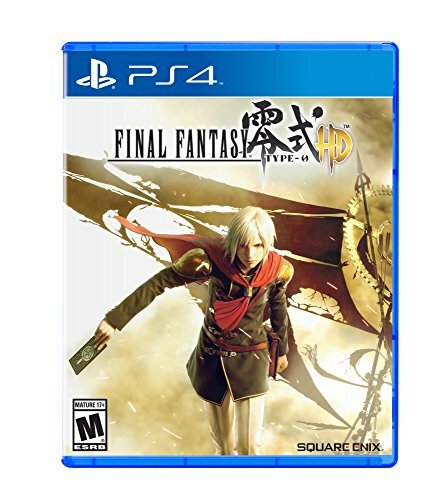 One of the most highly anticipated role-playing games of all time, FINAL FANTASY TYPE-0 makes its Western debut on PlayStation 4 and Xbox One as FINAL FANTASY TYPE-0 HD. Featuring the immersive story, memorable characters, and production values the series is known for, players are transported to Orience, a dark, FINAL FANTASY world governed by crystals and torn apart by war, as the nation’s youth are swept into its conflict. Step into the fray as Class Zero, a group of fourteen students from an elite military academy whose country is attacked by an aggressive neighboring Empire. Using the powerful abilities and magic of all fourteen characters in fast-paced action RPG combat, players must face the brutality and injustices of war to uncover the secrets of its genesis.